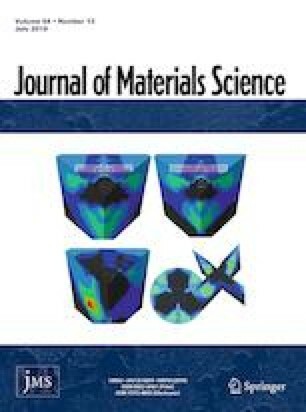 Methylammonium bismuth iodide (MA3Bi2I9) has been recently investigated as a light absorber in lead-free perovskite solar cells. However, the MA3Bi2I9 film fabricated via conventional one-step spin coating methods usually has poor surface morphology, limiting the device performance. Herein, a cation displacement approach was employed for the fabrication of MA3Bi2I9 film, where (CH3CH2CH2NH3)3Bi2I9 (PA3Bi2I9) film was first deposited from a solution containing CH3CH2CH2NH3I and BiI3 and then transformed into MA3Bi2I9 film in a methylamine atmosphere. With the technique, the MA3Bi2I9 film was realized with smooth, uniform, and compact surface morphology. Using the MA3Bi2I9 film as a light absorber, a mesoporous photovoltaic device was fabricated with a power conversion efficiency of 0.33%, which is about two times higher than the value (0.15%) obtained for the one-step spin coating MA3Bi2I9 device. Moreover, the facile film fabrication strategy utilized in this work paves the way for high reproducibility of lead-free organic–inorganic halide films and devices. The online version of this article ( https://doi.org/10.1007/s10853-019-03582-w) contains supplementary material, which is available to authorized users. This work was supported by the National Nature Science Foundation of China (Grant Nos. 61874123, 21572235), the National Key R and D Program of China (Grant No. 2018YFA0208501), and the “Strategic Priority Research Program” of Chinese Academy of Sciences (Grant No. XDA09020000).